The ground floor entrance leads into a large open plan living, dining and kitchen area, off which is a double bedroom and bathroom. Stairs lead up to the first floor where there is a second double bedroom with en suite, plus two twin bedrooms and a further bathroom. Another staircase takes you up to the second floor, where there are two 'loft' bedrooms suitable for children. 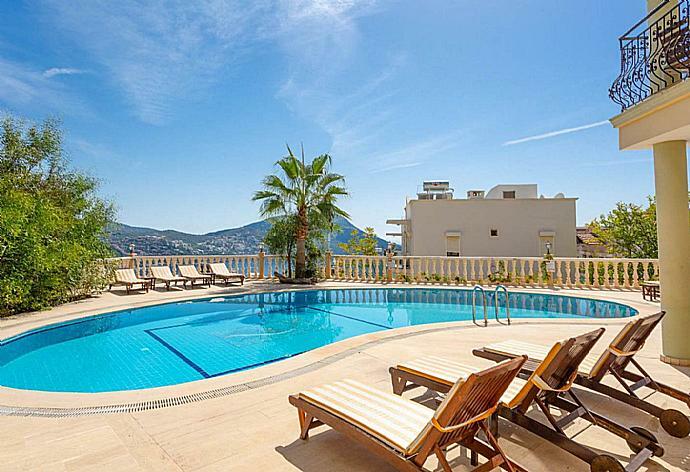 There is also a wonderful roof terrace offering seclusion and sea views over Kalkan and to the Greek mainland. Steps from the lounge of Villa Helisonia lead you to the private pool and patio terrace, furnished with sun loungers and parasols. The views of the sea and surrounding hillsides are very pleasant and the space is bordered by trees and shrubs, adding privacy to the perfect setting. The best feature of Villa Helisonia is the totally private roof terrace. 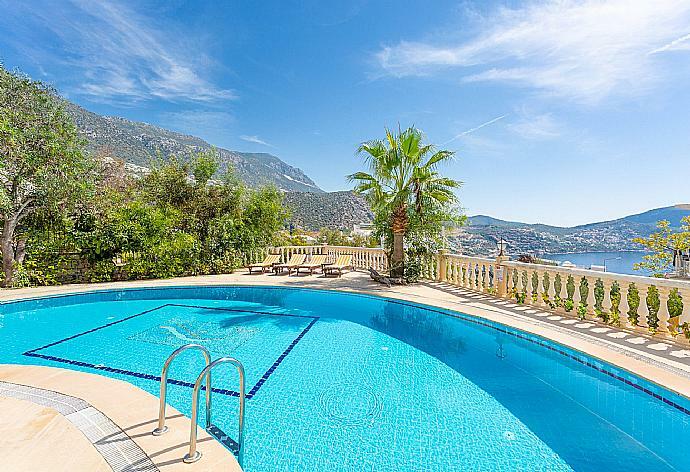 Here, you can sunbathe or dine, in total seclusion enjoying the sea views beyond. Turkey was my most surprising country I visited so far. I was amazed how beautiful the place is and how friendly the locals are. We enjoyed many local food which was great, shopping was also near and very inexpensive. The villa was plenty for a family of 8. Helisonia was a perfect home for my guest and I... Spacious , clean, and everything you need for great meals.. 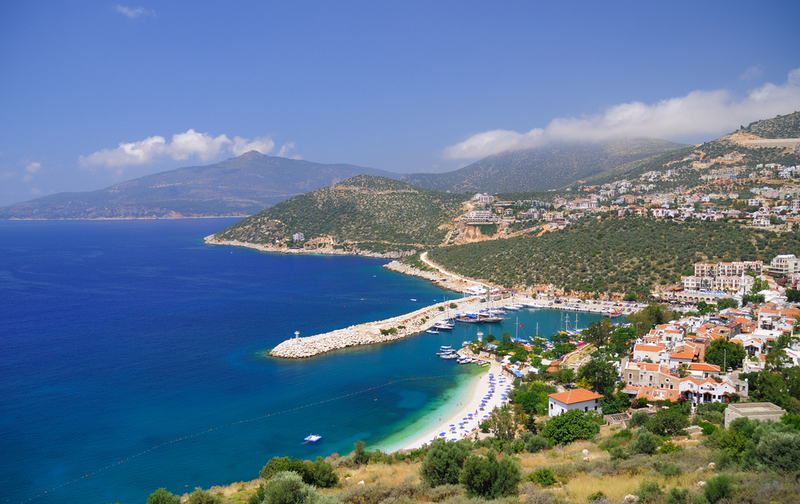 This is definitely a tourist Heaven with plenty to see and do..Plenty of Historical sites, including Tlos and Kekova ,plenty of fine beaches..not to mention plenty of shopping. Huge for just 2 people, however, we loved having so much space. It was an easy walk down into the Village and we enjoyed the harbour front restaurants and bars. 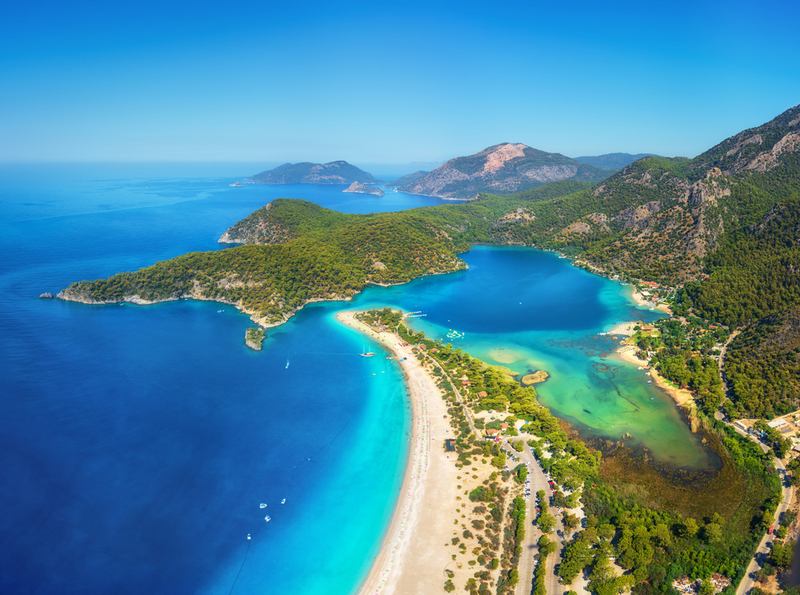 Remind me why we havent been to Turkey sooner?? We had a lovely stay. 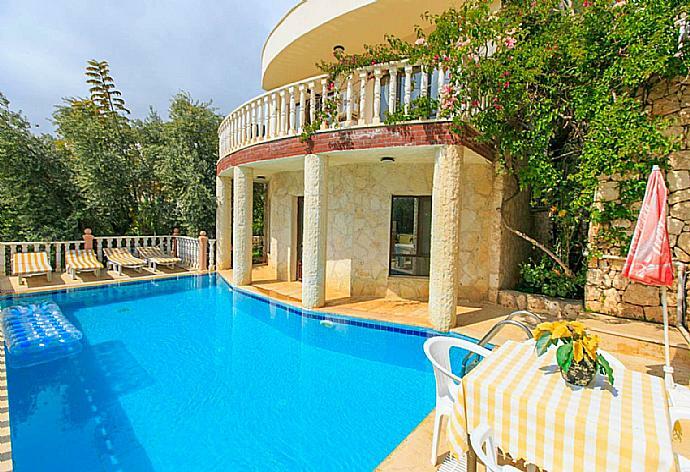 The Villa was lovely as was the pool. The owners very extremely helpful.